A Complete Guide to RAW and JPG. In this article, you'll find the differences between RAW and JPG. as well as how to Convert RAW to JPG format. How to Convert RAW Image to JPG on Mac and Windows? Should I choose RAW format or JPG? Most of the digital SLR cameras can shoot RAW and JPG format, but what exactly is RAW format? What are the advantages and disadvantages compared to JPG? Should we store photos under RAW or JPG? Let’s try to understand it. The RAW image format is basically an image source file that has not been processed. It stores the original information captured by the digital camera, and there is no loss of information due to image processing (such as image sharpening, increase color contrast) and file compression. But we need to use dedicated software to open these files. Many of today's digital cameras can shoot RAW format, but different manufacturers are using different extensions and formats, such as CR2 or CRW (Canon), NEF (Nikon), ARW or SR2 (Sony), RAF (Fujifilm) Etc., these manufacturers use own software to handle their RAW photo format. Another common format is JPG, the camera will base on the user's settings for image processing, compression (based on quality setting in the camera) and storage. RAW is a commonly used format by professional photographer because it preserves original information, allowing significant post processing task by users, such as adjusting white balance, exposure level, color contrast settings; it is especially helpful for novice to remedy failed photos, and the photos are able to be restored to original state regardless of any changes from post processing task. Another benefit of RAW is the ability to correct loss of light and deformation from lens by using Canon DPP software. What are the advantages of JPG? JPG is a very popular image format and commonly used by almost all modern digital cameras, most computers are able to open the JPG files, the user are allowed to set the degree of compression to retain the level of quality (the best JPG quality is very close to RAW), so it is a very convenient format. The size of RAW file is much larger than JPG due to the amount of information in it. So there will be higher requirement for storage capacity and longer file transfer time. RAW file require dedicated software and could not be opened without the software installed. Refer to (2), you might not be able to process the photos if no support for the dedicated software in future. The fastest time to open a RAW file is relatively long at 8 to 9s, and could extent to 20s. Different software has different way to interpret RAW format, so a RAW file may not look the same in Photoshop and Nikon Capture NX. The dedicated software sold by manufacturers at high (Canon DPP is available to download for free, Nikon NX is available separately). If you need to take large quantity of photos, then you should consider using JPG because of its relatively small requirements for capacity, post processing and conversion time. If you are taking photos for commercial use and need a lot of post processing, then consider using RAW due to that flexibility. RAW file allow remedy for failed photo and because you may not be visiting the places again, so consider using RAW or RAW + JPG if you are taking photos during traveling. How to convert RAW image to JPG format? If you have previously taken pictures in RAW format and unable to open them from your computer or mobile phone, you should consider converting them to popular image formats such as JPG, GIF, Tiff or PNG. Step 1: Download the software from the following links and install it on your computer. Step 3: Click the "Add images to convert" icon at the top left corner to import the RAW photos that you want to convert. Step 4: You can set the output parameters at the right side of the interface. Select JPG as the output format and specify a location where the output will be saved. Step 5: Click the Convert button and the program will quickly convert RAW photos to JPG format. 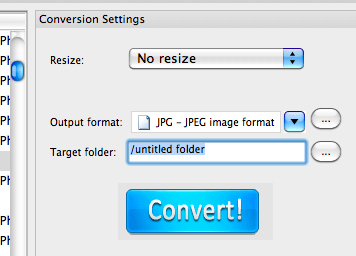 The conversion just take a few seconds unless you are converting more than a few hundred files. 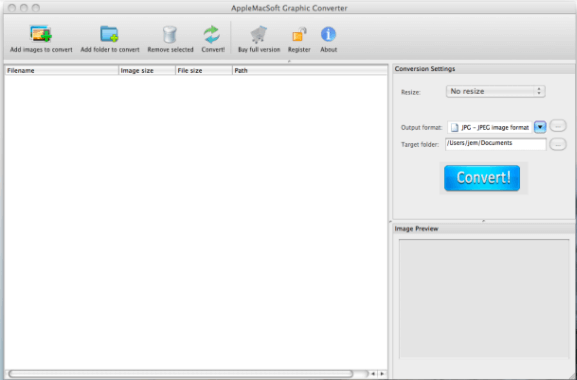 Converting RAW to JPG format is extremely simple with AppleMacSoft Graphic Converter. Just download the trial version and start the magic conversion. How to Convert TIFF to JPG or PNG on Mac? How to Convert MRW to JPG on Mac and Windows? How to Batch Convert BMP to JPEG on Mac? How to Convert Sony ARW Pictures to PNG or JPEG? How to Convert TGA to JPEG or PNG? 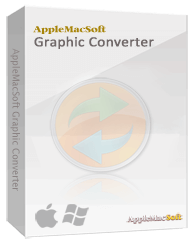 You can use Graphic Converter under Windows and Mac operating systems with the same license. 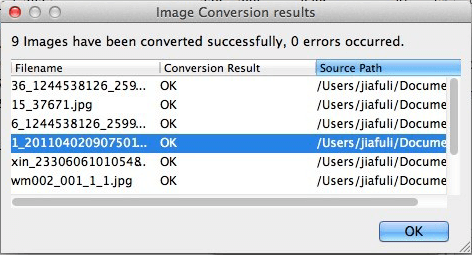 Batch Convert BMP to JPEG on Mac? 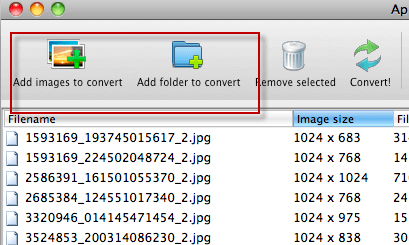 Convert Canon CR2 Images to JPG on Mac and Windows? Convert JPEG or PNG Images to ICO? Convert CRW to JPG on Mac?